The air filter in your home’s furnace, air conditioner or heat pump is a crucial component of the whole system. They may not look elaborate as they’re mostly cardboard and fiber, but air filters greatly affect the performance of your unit. Not only in regards to your indoor comfort, but they also have a major impact on the HVAC equipment itself. Here is a little more information on air filters, how they work, and why they are so important to maintaining your home’s heating and cooling systems. Hopefully, it will also aid you in selecting the right filter to best fit your particular needs! The air filtration usually occurs when the disbursed air is “sucked” back into the HVAC system to be conditioned and then used again. During this process, the air is forced through the air filter and the spun fiberglass or pleated paper/cloth traps the particulates and contaminants from the air and removes them, thus not allowing the particles to be recirculated into the air you breathe. As with almost all of the products that we purchase, there are lower-end, mid-level and high-end choices available. Not all products are created equal and not all air filters will clean your air with the same efficiency. The higher the quality, the more contaminants that will be removed from your indoor air. Keep in mind that these higher quality air filters are usually a bit more expensive. This is where the MERV rating comes into play. MERV stands for “Minimum Efficiency Reporting Value” and is a numeric value for rating and comparing the filter’s efficiency and performance. The range for Standard MERV values is typically from 1 to 16, with the number indicating how well the filter will remove material from the air. The higher the MERV number, the better the filtration. MERV 1-4: Common standard filters. Basic filtration. Low cost. MERV 6-8: Good filtration usually used in residential settings. Made of pleated paper or cloth. MERV 9-12: Relatively high efficiency, middle of the road filters. Can trap particles of 1 micron or larger. MERV 13-16: Highest efficiency, best standard filters available. Can trap particles as tiny as 0.3 microns or larger. There are filters available with MERV ratings higher than 16, however they are thick and dense and your typical residential HVAC system cannot readily handle them. In fact they can actually interfere with the airflow by restricting it. This in turn could actually reduce the effectiveness of your heating and cooling systems and can even result in damage to the HVAC equipment. You must make sure that your HVAC system can handle filters with MERV ratings higher than 16 before buying and installing one. There are also additional units that can be installed along with your HVAC system that are designed for air filtration and purification. These air cleaners can provide an additional step “on top” of the regular filtering, thus cleaning your air even further. Cause HVAC system malfunctions and equipment damage. Reduce airflow inside the HVAC system, making the fans work harder and wear out quicker. NOT remove particulates and contaminants as effectively as they should, therefore releasing these back into your indoor air (or the air that you and your family breath). Cause contaminates to built up in your duct work. Cause the HVAC equipment to work harder, increasing your home’s energy usage and your monthly electric bill payments. Air filters should be checked at least once a month. If they are dirty they should be changed with a fresh clean air filter. When removing the air filter from the handler, if you hold it up to a light source you will be able to see if the filter is dirty or clogged – if you can’t see the light through the filter, then it’s definitely time for it to be changed. Determining the size that your system requires and choosing the MERV rating that is best for you can be a little overwhelming, especially if you have never purchased air filters for your home or if you have a new unit or home to buy filters for. You can take a look at our air filter measurement guide to help you pick the right size or call us and we can easily assist you with ordering the exact air filter size you need and recommend the best rating for you depending on the level of filtration you want. Whether you need AC or furnace filters, a specialty Whole House filter, a Grille filter, or even a custom air filter size, we have a professional and helpful staff ready to take care of you! Call us NOW at 1-855-237-1673! Carrier is know as a leader in both the residential and commercials air conditioning markets, with a solid reputation for reliability and durability. In fact, all the way back in 1902, William Carrier is often credited with inventing modern air conditioning by installing the very first system in Brookly, New York. Carrier prides themselves for a century of delivering global solutions across a broad range of applications in heating, air conditioning, refrigeration and beyond. Carrier Infinity Series – Their top of the line units. High SEER models with all features. Carrier Performance Series – Their mid-level units. Moderate SEER, reliable and versatile. Carrier Comfort Series – Their base-model HVAC. Still very reliable at their lowest price point. Deeming themselves the Weathermakers to the World, Carrier “has cultivated a history of proven innovation in the heating, air-conditioning and refrigeration industries, enabling global comfort and efficiency”. Founded in 1885 in La Crosse, Wisconsin by James Trane (who immigrated to the Unite States from Norway), Trane has been a leading manufacturer of both residential air conditioners and commercial HVAC units. Purchased by Ingersoll Rand in 2008, Trane became a global organization that prides itself in delivering both quality and innovation to their customers. Inspired by the cold Wisconsin winters, Jame’s son Reuben is credited with inventing the convector radiator in 1923 that established Trane as one of the industry leaders for innovation. Their CenTraVac® system is the industry standard for large commercial HVAC systems and is the most energy efficient in the world for use in large buildings. The company was awarded the prestigious “Best of the Best” Award from the U.S. Environmental Protection Agency for the CenTraVac® system. Lennox is also known for being an international company providing a vast array of climate control products for air conditioning, heating and refrigeration. In fact, Lennox has become an intercontinental company, primarily focusing on providing the global marketplace with residential heating and cooling units, commercial heating and cooling systems, plus refrigeration equipment. Originally founded in Iowa by Annie and Lewis Lennox in 1895, they initially patented and designed a coal burning furnace for heating, followed by numerous advancements in both heating and cooling systems. The company is known for producing superior products for both commercial and residential air conditioning use, plus furnaces, heat pumps and boilers. So he top 3 brands are probably Carrier, Lennox, and Trane. When it comes to pricing, they are also the highest. Yet when it comes to quality, there are perhaps several lesser-known brands available that basically match them “identically”. Many units are manufactured in the same facility with nearly the same or exactly the same parts. Often times the units all have the same internal working parts, just a different housing, outer appearance/color, or some minor changes to some of the non-moving parts. The only difference, in some cases, can simply be the brand-name that is placed on the unit. As a good example, let’s look at Goodman Air Conditioning and Heating Systems. Although “branded” as a Goodman, their AC units basically have the same internal components (what matters most) that are installed in a Carrier unit. Additionally, they are both made in the same facility. They just get different outer housing, labeling, and pricing. A Goodman unit costs several hundred dollars less than the one labeled as Carrier. So, in the end, a higher price will not always translate into a higher quality or better AC unit. A similar comparison can be made in other industries and products. It’s well known that Great Value peanut butter (sold by by Walmart) and the brand known as Peter Pan are both made by Con-Agra using the same main ingredients, with just minor differences in coloring/additives/oil, but getting different labeling, packaging, and pricing. So the point is, that to get the best value AND quality when purchasing an air conditioning and/or heating system, it may be worth doing a little research first. Find out who the manufacturer actually is if you can and compare then compare the pricing to the “major brand”. Additionally, read as many product reviews as possible before making your decision. Keep in mind that the more reviews that you find on a certain brand or product is better, because it equates to more consumers actually taking their time to write the reviews. Plus, be wary if a product has nothing but only 5-Star reviews. You can’t please everyone and a brand, company or product that only has 5-Star reviews can raise suspicions (as unscrupulous retailers have been exposed recently for paying for good reviews and filtering out any negative reviews on certain review websites). Since 1928, US Home Filter has specialized in providing quality air filters and filtration solutions to a variety of customers. Manufactured at our facility located in Missouri (right here in the USA), we offer a vast selection of standard air filters, as well as custom size replacement air filters. Perhaps not as well known as some of our competitors, US Home Filters produces the highest quality of AC and heating filters available and sold for higher prices. No fancy packaging, plastic wrapping or unnecessary marketing materials. Simply the highest quality filters at the very best prices. Satisfaction guaranteed and free shipping in the contiguous USA! No matter which manufacturer you decide to go with, every unit needs a quality filter that fits properly in order to keep your indoor air quality clean and your unit running at its maximum efficiency. Whether you purchase a Trane, a Lennox or a Carrier system, US Home Filter can supply you with the best and most efficient HVAC filter available! Changing the filter in your air conditioning unit is as important as changing the oil in your car! US Home Filter makes filters that fit all AC/HVAC units. So you don’t need to buy the brand name filters when US Home Filters makes them right here in the USA. Made in America by Americans. From standard to custom air filters, to whole-house filters, grille filters and humidifier filters, we have all of your filter needs covered! Order now from US Home Filter and receive FREE SHIPPING on your order! Selecting the filters that are just right for your home can be difficult and confusing at times. At US Home Filter we understand this, which is why we offer an experienced staff to help answer any questions you may have. For personal assistance with your air filter needs, please contact us now online or call us at (855) 237-1673 and we will do our very best to assist you in selecting the right filter for your individual needs.We want to earn your business and we guarantee your satisfaction! Take advantage of our quality products, vast selection, low prices, and enjoy FREE SHIPPING on every air filter order within the Contiguous USA. “Standard stock size” air filters. What does this mean? Each air conditioning system or HVAC unit has a certain sized filter that allows the filter to perform both correctly and efficiently. The filters don’t need to fit with an “air tight” seal, but you should be able to easily install and uninstall your filter without a struggle. Your filter should be a bit smaller on each side of the filter housing slot, allowing you to slide the filter in and out with ease. For most systems you can use a standard sized filter within 5/8 of an inch smaller than the air filter housing. Most AC and HVAC units use standard sized filters, but some do require a custom size air filter to be purchased and installed. Why is the filter size important? 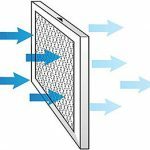 According to EPA.gov, incorrectly designed or installed filter frames can cause air seepage, which significantly decreases filter effectiveness. Plus any air flow resistance caused by using a filter that is not correctly sized can result in unnecessary stress on you HVAC unit, potential damage to your AC system and increase your energy bills. Retail locations typically only offer approximately 10 of the most common air filter sizes. 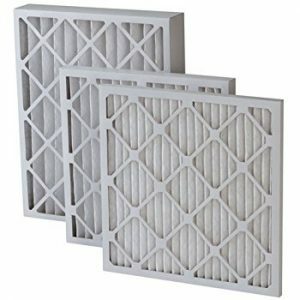 US Home Filter makes over 80 standard stock sizes that local stores do not have the shelf space for, nor the inventory capacity to stock them all. We do manufacture and stock them all because that’s our business! So take a look at our stock filters, from 8x16x1 to 30x36x2 to 25x29x4 to 20x25x6. If we don’t have it, we can make it! Nominal Size: This is the approximate size, such as 16x25x1. All 16x25x1 filters are designed to fit standard 16x25x1 filter slots. Exact Size: This can vary slightly depending on the manufacturer. 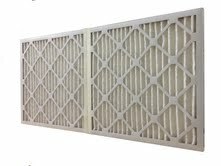 The die-cuts (filter frames), which are manufactured in bulk and purchased as a raw material for making air filters determine the exact size of the air filters. The exact size is always slightly smaller than the nominal size to allow the filter to properly fit in the slot or housing. For example, a stock size of 16x25x1 may have exact dimensions of 15-1/2 x 24-1/2 x 3/4. This is completely normal and is the standard in air filter manufacturing. Slight variances in exact size do not usually make a difference, but in certain applications they actually may. Sometimes you may find that the stock size at your local hardware store is just a bit too big to fit, yet you may be able to shop online and find the same stock size by a different manufacturer with a slightly smaller size that makes all the difference you need. There are thousands upon thousands of possible exact air filter sizes that can be used. Because of this, you will not always be able to locate your filter at a store or online as a regular stock size. In this case, you will be looking at ordering a custom size air filter. Custom filters are not made to a nominal size, with a smaller actual size as stock sizes are made. At US Home Filter, we will make your custom size according to your actual needs and specifications. Hopefully this information helps you better understand what your AC/HVAC system requires for optimum performance. It’s also important to remember that using the correct size filter for your system protects your AC/HVAC unit from malfunctions and damage, allowing it to continue to perform correctly and keep your air cleaner and your family and home safer. Take a look at our air filter measuring guide for steps on figuring out the correct size filter for your system. If you’re still unsure, US Home Filter is here to help! Call us at 855-237-1673 or contact us online. Controlling the level of dust indoors is a continuous struggle for nearly everyone. Dust originates from numerous sources and persistently collects on almost any surface. Despite ongoing efforts and diligent cleaning, it always seems to return before you know it. It is constantly introduced into your home’s environment through a variety of entry points and methods. The most effective way to minimize dust is to tackle it at its source. While you can noticeably reduce the amount of grime, dirt, soil and filth that originates from these sources, dust will still be very difficult to completely eliminate. Dust is matter that consists of various fine particles of assorted ingredients. It is classified as a solid particle that is formed by the reduction of a larger particle: indoor and outdoor debris, soot and ashes, food crumbs, dander and skin flakes, mold and mold spores, dust mites and their debris, insect particles, household fibers, lint, hair and fur, and pollen. Large particles over 10 microns will settle onto surfaces very rapidly, often within just a few seconds. Because of the faster rate of fall, this type of dust is nearly impossible to be filtered by your HVAC air filter as it will rarely have a chance to be pulled into the duct-work by your return air vents. Some particles are so fine that they function like gases and have no rate of fall whatsoever. These particles, usually less than 1/10th of a micron, will remain suspended in the air only affected by nearby currents or movement. Small particles in the range of 1.0 – 10.0 microns will take several minutes to make their way to the nearest table, shelf, or floor. Particles in this size range will make up the majority of those that are able to be collected by your furnace filter or AC filter. Dust allergies tend to flare during the months of July and August when the dust mite population increases, but can also present problems during the cooler months when we typically spend more time indoors. Nobody wants to breathe dirty air. There’s no doubt that improving the quality of air in your home is highly beneficial. The air you breathe can have a significant impact on allergy symptoms, asthma triggers, and your overall level of comfort. You air transports allergens and contaminants, allowing them to be inhaled or to settle on surfaces where they can spread to other areas. Using high-efficiency pleated air filters is a great added level of defense in helping to clean your air from allergens and dust. Using a minimum of a MERV 8 rating will help to collect large amounts of dirt and debris, not only protecting your HVAC system, but going above and beyond by capturing common allergens such as pet dander, dust mite debris, pollen, and mold spores. Upgrading to a higher level such as MERV 11 or MERV 13 is recommended for those who desire a greater percentage of dust collection and trapping the smallest allergens. At US Home Filter, we take pride in helping our customers find the best filtration solutions to fit their individual needs. Whether you need help with one of our standard stock size air filters, a Whole House Air Cleaner replacement filter, Grille filters, or a custom size air filter built to your specifications, we will be happy to personally assist you with any of your filtration needs! Winter is a time where you might expect some relief from allergens and the allergies that they cause. Actually, however, the colder months can prove to be very challenging for those with indoor air allergies caused by dust and the allergens that are contained within and associated with it. Pollutants, allergens, and other debris may be lingering in your air whether you see them or not. Your home’s indoor air quality (IAQ) can make a big difference, especially to those with allergies and respiratory issues. According to the EPA the air that we breathe in our homes, in schools and in offices can put us at risk for health problems. Improving your IAQ means that you are working to reduce allergens such as dust, pollen, mold spores, pet dander, and other impurities – all to help you and your family all breathe a bit easier. Circulation – This is actually a form of air replacement, which can surprisingly be most beneficial during the winter months when you typically keep your home closed up (for obvious reasons). Pick a warmer winter day and allow some clean, fresh air to circulate throughout the home. This can refresh your indoor air quality and allow the allergens that are “trapped” inside your house or home a chance to move outside. Humidity – Many allergens, such as dust mites, mold, and bacteria thrive in overly-humid conditions. More humid air is often desired in the cold, dry months, but ideally you should try to keep the humidity level around 35%-50%. Be sure to replace your humidifier filters with fresh humidifier pads or filters about twice per season. Using bathroom exhaust fans is also highly recommended when enjoying hot showers to keep the moisture level down. Keep an eye on basements and storage areas as well, which are also ideal locations for potential moisture. 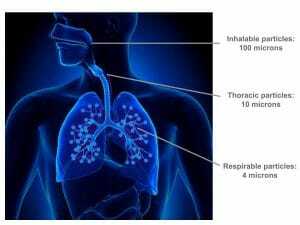 Smoke – This tiny vapor particle, in any form, affects your indoor air quality (IAQ). Examples can include smoke from tobacco, fireplaces, cooking, and even candles. While some of these can produce a desirable scent or cozy atmosphere, they are technically not contributors to improving the quality of the air you breathe. This does not mean that we should not enjoy and use our fireplaces less during those snowy days and nights, but it is something to be aware of as smoke particles can be bothersome to most respiratory conditions. Air Filtration – Your furnace filters can be a huge help by going beyond the basic purpose of just protecting your system. This is your air filter’s main job, but you can actually benefit from the added level of defense it can provide in cleansing your air of impurities. Make sure you always keep on a regular schedule with changing your air filters. This will allow your system to function optimally and continuously provide new surface area for dust and allergens to collect on. Regular Cleaning – Of course, we all know that maintaining a clean home will only help in keeping the level of contaminants and dust to a minimum. Once dust and debris have settled, it will be much more difficult for them to be picked up by your furnace filter unless the area is disturbed. This will re-disperse the dust, allowing another opportunity for it to be captured. Unfortunately, it will eventually settle again. Dust is an ongoing battle that must be controlled at the source. Regular vacuuming, dusting, and cleaning of surfaces is one sure way to help tackle these issues and improve your IAQ! Call us at 855.237.1673 for help with your air filter solutions today! Family owned and operated for four generations now, we may not be doctors but we certainly know about allergies and air filters! Over the years our experienced staff has help thousands of customers by answering the same questions that you may have. Additionally, we know that selecting the air filters that are just right for your home can be difficult and confusing at times. What MERV rating is best for my family? Is there an advantage to getting a pleated filter? Am I paying the right price? We understand this, which is why we offer an experienced staff to help answer any questions you may have. For personal assistance with your air filter needs, please contact us now online or call us at (855) 237-1673 and we will do our very best to assist you in selecting the right filter for your individual needs. We want to earn your business and we guarantee your satisfaction! Take advantage of our quality products, vast selection, low prices, and enjoy FREE SHIPPING on every air filter order within the Contiguous USA. Custom air conditioning and furnace filters are necessary when you cannot find a standard stock size air filter to fit your filter housing, track, slot, or vent properly. We discussed measuring your air filter housing slot in our last post about how to figure out if your air filter is too small for your unit. Once measured, if you are unable to find a standard sized air filter within 5/8th-in smaller than the housing slot, your unit requires a custom sized air filter. Custom sizes are not stocked on shelves or available at local stores. With literally tens of thousands of possible size combinations, there is simply no way to keep each size in stock. However, you can select the exact size you need by building a custom air filter from US Home Filter where we keep a vast array of standard sizes, including many uncommon hard-to-find sizes, in stock and can make any custom size air filter that you may need! Unfortunately, while there are many standard and commonly used sizes, the HVAC industry as a whole has not standardized air filter sizing. The majority of the time, air filter sizes are determined by the manufacturer of your unit and the size is generally determined based upon the finished size of the unit itself, rather than what would be known as a common air filter size that you can easily find at a local store. This can prove to be quite an inconvenience for many. Some will recommend to put your main focus on the type of air filter you use. While that is an important factor, when you are faced with choosing a custom sized air filter your first and foremost concern should be in determining the exact size you need. The type of filter you use is irrelevant if it does not fit properly. According to the EPA, indoor air pollution is among the top five environmental health risks. Ensuring your air filter fits properly within your system and regularly cleaned is imperative to your furnace or air conditioning system operating properly and preventing costly repairs and replacements. This is where custom sized air filters are essential. The air should move through the filter, not around it, so those indoor air pollutants are caught in the filter and not returned into your home and the air you breathe. At US Home Filter, we have a step by step process to determine the appropriate air filter dimensions for your heating and/or cooling system and we deliver your custom air furnace filters straight to your door. Once you have figured out the exact dimensions you need for your custom air filters, then you can select the type of filter you need based upon your needs. Your needs will likely depend on how much you prefer to spend balanced with what level of filtration you desire. It is also extremely important to change your custom air furnace filter on a regular basis. This allows for a constant flow of clean air into your home which will help you and your family avoid respiratory difficulties, allergies, and illness and keep your family safe and comfortable. It will also allow your system to work efficiently increasing its performance and longevity and decreasing energy bills. In conclusion, a properly fitting air filter is necessary to keep your home safe and the air you breathe clean. There are hundreds of air filter sizes and US Home Filter is here to help you get the correct filter as easily and efficiently as possible. Selecting the filters that are just right for your home can be difficult and confusing at times. At US Home Filter we understand this, which is why we offer an experienced staff to help answer any questions you may have. For personal assistance with your air filter needs, please contact us now online or call us at (855) 237-1673 and we will do our very best to assist you in selecting the right filter for your individual needs. We want to earn your business and we guarantee your satisfaction! Take advantage of our quality products, vast selection, low prices, and enjoy FREE SHIPPING on every air filter order within the Contiguous USA. Is My Air Filter Too Small? Is the air filter I have too small for my unit? We hear this question from a lot of our customers. Each air conditioning system or HVAC unit has a certain size filter that allows the filter to perform correctly by protecting your heating/ac system. The filters don’t need to fit with an “air tight” seal, but you should be able to easily install and uninstall your filter without a struggle, plus the filter shouldn’t be so small that it moves freely within your unit. Your filter should be a bit smaller on each side of the filter housing slot, thus allowing you to slide the filter in with ease. Most AC and HVAC units use standard sized filters, but some do require a custom size air filter. 1. The air filter moves around too much inside the filter housing slot. 2. When your unit turns on, you hear noises such as knocking, whistling, or rattling. 3. Once installed, the air filter does not completely cover the vent or duct opening. 4. You notice that the air filter does not seem to get dirty. 1. The filter can be sucked into the ventilation if it is much smaller than it should be. 2. Dust, allergens and pollutants will not be filtered from your indoor air, as the air is bypassing the filter and entering into the ventilation and is returned back. 2. The filter will be unable to protect your AC/HVAC unit and the unfiltered air will collect on internal components of your system, such as the coil and fan, which can lead to expensive repairs. Measure the air filter housing slot, but only the usable space where the filter can fit into. Make sure to take into consideration any overlaps or recessed edges that may obstruct installing or uninstalling the filter. For most systems you can use a standard sized filter within 5/8-in smaller than the air filter housing. If you are not able to find a standard sized filter within that parameter, you will need to order a custom sized air filter. There are also air conditioning/HVAC units that are open-ended, meaning you don’t close a door or panel over the air filter housing. In these cases, you have more flexibility in selecting your filter size, as you can choose one that is longer than the size of the opening. This also gives you a pseudo “handle” that sticks outside the opening that allows you to grab onto for ease of removal when it’s time for the filter to be changed. An excellent resource to help you is the US Environmental Protection Agency (EPA) Guide To Air Cleaners in The Home. 1. If your unit has wall and ceiling vents that do not have clips or brackets that secure the filter you want to find the closest fit possible (within 1/8-in. smaller than the opening) that prevents movement or noises as mentioned above. 2. If your unit has wall and ceiling vents that has clips or brackets that secure the filter you can select a filter size within a 1/2-in. smaller than the opening. 3. If your unit has a standard filter slot (typically located near the blower unit) you can select a filter size within 1/8-in – 5/8-in. smaller than the two longest sides. As mentioned above, you can also choose a longer filter as there is no door or cover that needs to be closed over the filter. 4. 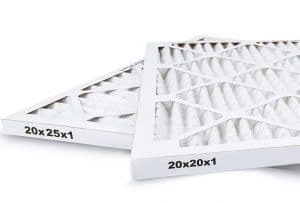 If your unit has a filter cabinet or drawer/large housing compartment you will need to select a specialty Whole House Air Filter (filter depth should be over 4 inches). Look for the part number or model number on the door/panel/housing or the reference number on the air filter to find the actual filter size. Selecting the filters that are just right for your home can be difficult and confusing at times. At US Home Filter we understand this, which is why we offer an experienced staff to help answer any questions you may have. For personal assistance with your air filter needs, please contact us now online or call us at (855) 237-1673 and we will do our very best to assist you in selecting the right filter for your individual needs. 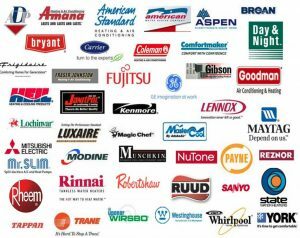 We carry humidifier filters and pads for all major manufacturers (including Air King, American Standard, Aprilaire, GeneralAire and Honeywell). We want to earn your business and we guarantee your satisfaction! Take advantage of our quality products, vast selection, low prices, and enjoy FREE SHIPPING on every air filter order within the Contiguous USA. Most of us do not spend too much time analyzing or thinking about the process of breathing, what our air is made up of, and the role that air filters play in the air quality of our indoor spaces. Using pleated air filters in our heating and cooling systems can be highly beneficial in scrubbing pollutants and allergens from the air in our homes. There is actually a great deal of interesting data about this seemingly insignificant subject. The air we breathe is a combination of gases: 78% nitrogen, 21% oxygen, and 1% argon, carbon dioxide, and trace amount of other gases. Within the air are particles and gases that originate from many sources, nature and man-made. Although much of what we breathe is filtered and exhaled, there is a host of contaminants that can impact our health and surroundings. Whether the source may be indoor or outdoor, naturally-occurring or from a man-made process, all particles are categorized as either an aerosol or a gas. Many types of particles can be captured with the air filters we use in our heating and air conditioning systems. Mold – a bioaerosol that has indoor and outdoor sources derived from soil, plants, and moist surfaces such as walls, insulation, clothing, or carpet. Gases – defined as a material that can expand indefinitely to fully occupy the space it is in. Gases exist in the form of molecules and include vapors along with the gases that make up the composition of our air. Gases can be odorous, toxic, and corrosive in nature. The presence of most gases will be recognized, but some such as Carbon monoxide are undetectable by the sense of smell. Gases may originate from chemical, manufacturing and biological processes. Particles are measured in micrometers (also referred to as a micron), using the abbreviation “μm”. A micron is 1 millionth of a meter or an inch divided by 25,400. For perspective, the average human hair is about 150 μm while the smallest visible particle is around the 25 μm range. Particles measuring less than 1μm make up over 98% of the particles found in the outdoor atmosphere while only 0.005% consist of those measuring 20 μm. Air filtration provides us with a means to attain the desired level of indoor air quality. Air filters were originally intended to simply shield the components of your expensive HVAC system, thus protecting it from harmful dust build-up and extending its life. As the manufacturing process of air filters evolved over the decades, filtration media became more refined and specialized which allowed us to go beyond system protection into cleaning contaminants, allergens, and other bothersome particles from our air using high-efficiency pleated air filters. This has allowed a significant improvement in indoor comfort and cleaner air in our homes and businesses. Did you even know there was such a thing as humidifier season? It occurs during the driest months of the year, typically from October to March for most of us. Humidifiers and humidifier pads, also known as humidifier filters, can be very beneficial during the chilly, dry winter months. In the wintertime, our heaters work hard to keep us warm and cozy. Our air filters and furnace filters strive to keep the air inside clean and free of contaminants. Along with these elements that keep you comfortable and improve your indoor air quality, why not add a humidifier unit that will make your environment even more enjoyable when that cold weather settles in? As the fall weather transitions into the winter months, the air becomes increasingly cold and harsh. While our heaters are running strong to keep us warm, the moisture is depleted from the air inside and can cause many individuals a lot of discomfort. Excessively dry air can result in a number of issues. What exactly are the signs that your indoor air is too dry? While these are the undesirable side-effects of the dry air that occurs this time of year, you do not need to suffer needlessly. Increasing the level of humidity in your home can provide a significant amount of relief. What can you expect when you add moisture to your air? There are basically two main categories of humidifiers – whole-house or stand-alone. Both function in the same manner of adding moisture to increase the indoor humidity levels in your home. Whole house – these are installed inline with your heating system and will disperse moist air into your home through your air vents during heating cycles. Stand-alone – as their name implies, these humidifiers are separate from your heating system. They are available in various sizes, such as a tabletop unit for use in a particular room, or larger console units that will humidify a larger area of your home. Regardless of the type of humidifier unit, they all require the use of a humidifier pad. The humidifier pad or humidifier filter, also known as a wick filter or evaporator pad, is responsible for assisting your unit in distributing moisture evenly into your home’s air. Most humidifier pads need to be changed every 2-3 months or at least once per season at a minimum. The ideal range for the humidity level in the home during the winter season is between 30-40%. Levels will however vary depending on the outdoor temperature. A level of humidity that is too high can cause condensation on your windows and facilitate the growth of moisture, as well as providing the ideal living environment for dust mites to thrive in. Both of these will commonly trigger allergic reactions in many people, including those without a specific allergy to them. Conversely, if your humidity level is too far below the recommended range, you may begin to feel the effects of dry air such as itchy skin and irritated respiratory airways. You can easily monitor the humidity level with a hygrometer which can be found at home improvement stores for a pretty low cost. Don’t Suffer This Winter – Try a Humidifier! Humidity is simply the level of moisture present in the air. We can utilize humidifier units to increase our level of indoor humidity, thus decreasing the level of dryness in our air. We have outlined many immediate improvements that remove or drastically reduce some of the most annoying issues that we complain about when the air is too harsh and dry. A stand-alone unit is the least costly and easiest to set up, so if you are unsure about committing to a whole house unit, try this option first and start enjoying the results right away! US Home Filter offers a full selection of humidifier pads. The fall season is quickly approaching. For many that means preparing for the “fight against fall allergies” that afflicts numerous individuals. 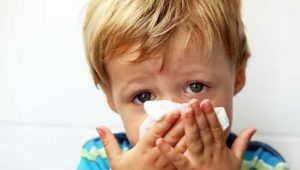 Although a favorite time of year for most people with its vibrant colors of leaves, milder temperatures, and delicious comfort foods, many live in fear of the sneezing, runny nose, and red, watery, and itchy eyes that the season brings them. The once prolific summer blooms will come to pass and make way for autumn shades, cool evenings, and more time spent indoors. In addition to the wonderful elements that many look forward to, the autumn weather welcomes in a new season of allergies for others that can be particularly bothersome. While some will find relief from summer allergies as fall begins to commence, others may just be preparing to take their turn. Those that are the least fortunate seem to battle with various forms of allergens throughout the changing seasons. What are the most common allergy triggers that come about during this time of year? Ragweed – Until the first hard freeze, ragweed will continue to pollinate and cause misery to its victims in the form of hay fever or allergic rhinitis. Ragweed is one of the most prolific and widespread types of pollen, with each plant being capable of producing up to 1 billion grains of pollen each season. There are numerous other types of weeds that generate pollen such as sagebrush and goldenrod. Types of pollinating weeds vary depending on various regions of the country. Mold – According to some sources, mold allergies will be especially troublesome this year and bad enough to cause allergic responses for those who are not normally bothered by mold. This perfect storm, as they are calling it, is brought about by warmer weather and greater levels of moisture. Wet surfaces such as tree bark, brick walkways, and gathering leaves provide an ideal breeding ground for mold. Indoor Allergens – On average, most will have a habit of spending more time indoors. If your home is a biotechnology clean-room, then you should have no issues. But on average, no matter the attempts a person makes to have a contaminant-free environment, you will still be exposed to some degree to dust and pet dander – the most common indoor allergens. Knowing these prevalent autumn allergens is helpful, but those with allergies or sensitivities to these allergens are accustomed to practices that minimize exposure and help defend against the effects of these airborne irritants. If allergies are a new concern, you will find an overwhelming amount of tips and advice online, but there are a few basic points to become familiar with. What are the most common allergy prevention or reduction recommendations? Pay attention to the pollen count – Pollen count fluctuates daily and even multiple times during each day. Pollen can have a significant impact on those who are allergic. As a result, these individuals often utilize numerous online resources and apps that are available to plan their outdoor activities around the anticipated pollen count when it is an option. Find one that you like and remember to use it when planning YOUR outdoor schedule. Minimize mold – mold can grow anywhere indoors or outdoors where conditions are right. Mold has a couple of basic requirements in order to grow – moisture and food. Moisture can come in the form of humidity, condensation, standing water, or water leaks. Food comes in the form of a surface for which the mold can grow on. Ideal surfaces are natural or organic in nature and include items such as leaves, paper, wood, and clothing. Do away with the dust – Dust is nearly impossible to eliminate completely as it must be controlled at the source. The level of difficulty is high because there are numerous sources of dust and it is constantly reintroduced into the environment, despite efforts to remove it. Hold back the humidity – While the air tends to be more dry in some areas during this time of year, some regions have a higher level of humidity. Dust mites and mold thrive in more humid environments. Using a dehumidifier can be very beneficial in removing moisture from the air which, in turn, provides the least ideal conditions for the dust mites and mold to multiply. If you already use a dehumidifier at home or at work, remember to change the humidifier pad regularly. Improve your IAQ – IAQ refers to Indoor Air Quality. One of the best things you can do to assist with keeping your air clean is to regularly change your air filters (including your air conditioning, furnace and whole house air filter). Your air filter is a great added level of defense against dust as it will not only protect your HVAC system components and keep your unit clean, but it will also remove the dust and allergens from your air.